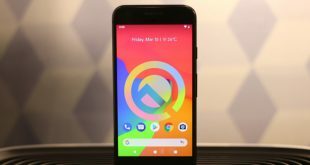 Google launched its Beta 1 version of Android Q on March 13, 2019. 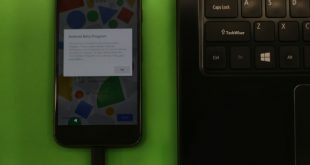 If you are enrolled for the Android Beta program, then you might get Android Q via an OTA update. Or if you are, like me, well you can always download and flash it onto your Pixel. Now, at first glance, there seem to not many changes and the UI is quite similar to Android 9. But, when I started digging more, there are a lot of changes. Now, most of these changes aren’t something new and they have been around in the OEM skins for ages. But, you know when Google does software, it’s always better. Having said that, this is the beta version and potentially things are gonna get way better ahead. So, here is what’s new in Android Q. 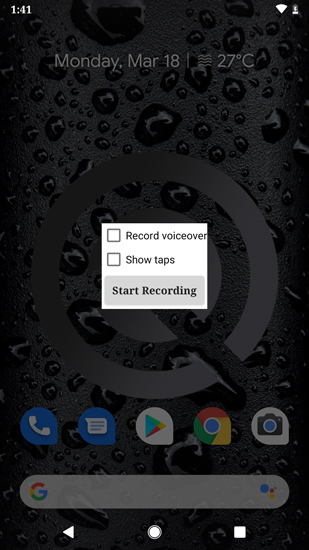 You also get options to choose to record voice over and screen taps. However, these options worked on my Pixel and were ineffective on my Pixel 3. So, the screen recording feature seems to have its own issues which are expected to be fixed in the coming Beta releases. Nonetheless, it’s a good feature to have and definitely will cut down one app from my app drawer. 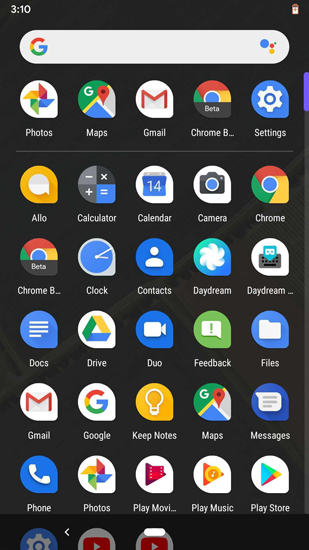 Well, I have used plenty of Android Launchers and the best I find is the stock Pixel Launcher. It’s slick and smooth with no fancy design. Ideal for most people. But the thing that it lacks the most is the customizations. 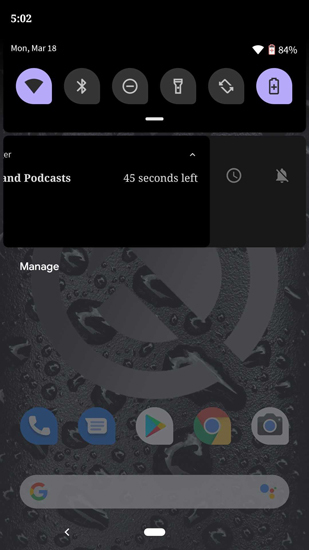 You cannot even change font type or icon shape until Android P. In Android Q, you have the option to set system-wide font and icon shape. You still have to travel to the Developer options to change font type and icon shape. Now, the thing is when you change icon shape and font type on launchers or even when you did it natively in Andriod P, it wasn’t applicable to the notification drawer icons. Until, in Android Q, these are also applied to the notification drawer icons. We only have one alternative font as of now but the options will get wider in the consumer version. This is the feature which gets me the most excited. You have something called “Forced Desktop mode” on secondary displays in the developer options. This as of now doesn’t perform anything but its a hint that Google is working on towards Android desktop. Or even something like Samsung Dex where you can use your Android Phone on bigger displays. The only working interface we could get of this was through Nexus Launcher’s secondary display activity. In short, I just invoked the secondary display of Pixel Launcher via the following command on ADB. 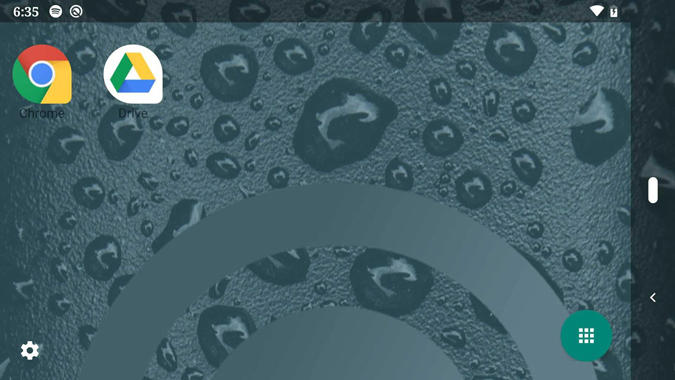 adb shell am start -n"com.google.android.apps.nexuslauncher/com.android.launcher3.SecondaryDisplayLauncher"
Below are some screenshots of how the Android desktop looks like. This is an extreme build and a lot of changes will be done to the UI. There’s one feature I particularly missed on my Pixel was the WiFi Sharing with just a QR code. Almost all the OEM skins like Huawei and Xiaomi’s MIUI have been implementing this feature since Android Oreo. Android Q brings this feature to the developer beta program and it works really well. You just have to connect to the Wi-Fi and go to its Settings to share the QR code. 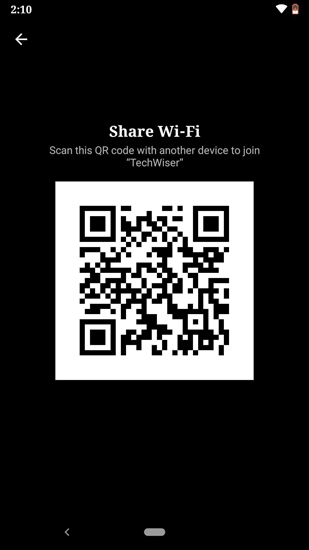 In case you don’t find it, here is an article on how to share your WiFi without sharing password on Android Q. It could have been better placed somewhere in the notification screen or Settings page which could have been much more accessible. Now, this isn’t exactly dark mode like the one you have on Oxygen OS. This is more of a workaround to get Dark Mode. This is different from the “Invert Color” option and doesn’t make the UI look horrendous. 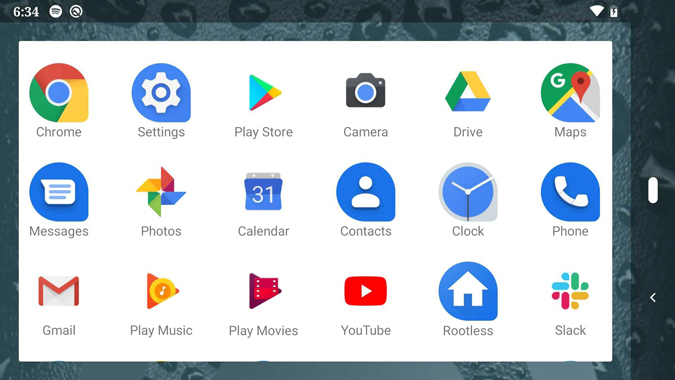 The notification drawer, app drawer, Google apps, and the Settings menu are pushed into the dark look. This does not affect the third-party apps and they will still have their own theme. 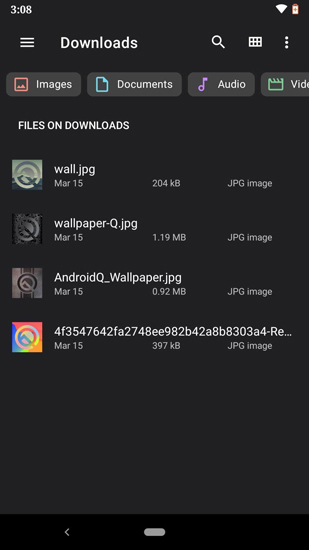 Talking about Google Apps, the file manager had the dark theme along with Google Photos and the phone dialer. But, the messages on Pixel 3 was in dark mode while on my Pixel it was still like before. So, in the future version, we could expect Google to have a separate dark mode option which would work system-wide for all the native apps. FreeForm windows or rather floating window have been a part of TouchWiz UI since way back. You could push an app to a minimized floating window on the screen. Now, the same feature can be seen on Android Q as well. You have to enable it from the Developer options. Just enable the setting called “Enable Freeform window”. This is an experimental setting and worked on the Pixel 3 but ceased to function on the Pixel. Now, this is something which should make every Android user happy. It so often with Android apps that you give them permission for GPS and they leave it turned on all the time. It causes extra battery drainage plus it’s even insecure. 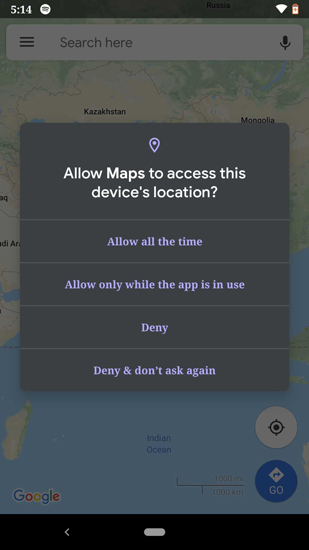 The app can access your location data even in the background. So, now the permission has been revamped in Android Q and for a better good. So, now you can allow three types of location permissions to the apps. It could be “Allow”, “Allow only when the app is in use”, and “Deny”. If you provide the permission “Allow only when the app is in use”, then the app can only use the permission when it is open. Another important permission improvement is if you deny an app any permission and the next time it asks for the same permission. You can opt to never receive the permission request again. I never thought I would say this but looks like Google is paying more attention towards user privacy. Now, in the settings menu, you get separate sections called Location and Privacy. The Location section is from where you can turn on and off GPS. Moreover, you have an app permissions section which shows your location permissions based on apps. In addition to that, you can now disable Wi-Fi and Bluetooth scanning for all the apps at once. Just below that, you have advanced settings where you can track your Google Location History and even disable it. 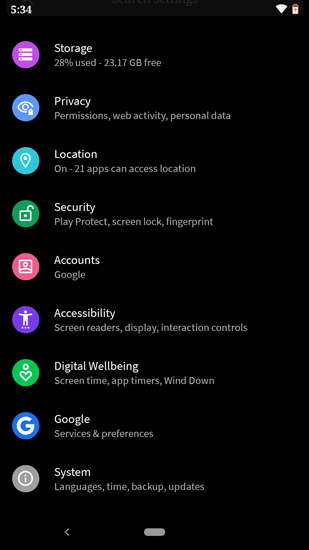 The Privacy section is somewhere you will find normal App permissions like before and some advanced settings. Now, these advanced settings will let you opt out of Ads personalization, autofill service and even data sharing with Google. Some of these were present in the previous Android Pie built but now they are more categorized under one section. It’s good that Google is providing these settings upfront and I wish that these make it to the final consumer edition. This one is just a minor change to how you access your notification. Now, swiping the notification left won’t dismiss it. Else, it opens options to timely snooze it or snoozes forever. To dismiss them, you have to swipe right. Seems, like swiping right is the legit thing! I have often had this problem of forgetting the file name at the exact time when I have to share it. So, in Android Q, you have an option for a quick preview of a photo, video or document right before you are sending it. 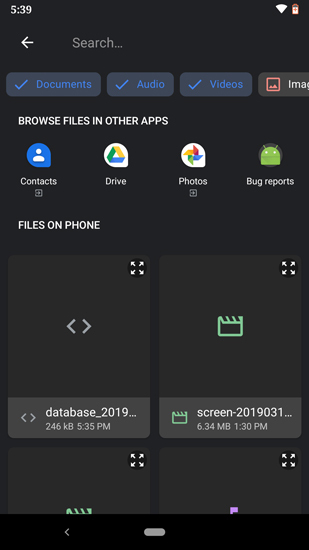 Starting from Android Q, when you choose to share stuff it will only redirect you to the native File manager. Now, when you are selecting files to share, you can have a quick preview button at the top of the file. This helps to distinguish two similar looking files. It would really be awesome if this quick preview could be based on short tap on the file. Previously in Android 9, you had the option to provide random MAC Addresses to Wi-Fis. But this Setting was deeply hidden in Developer options and you had to enable it manually. 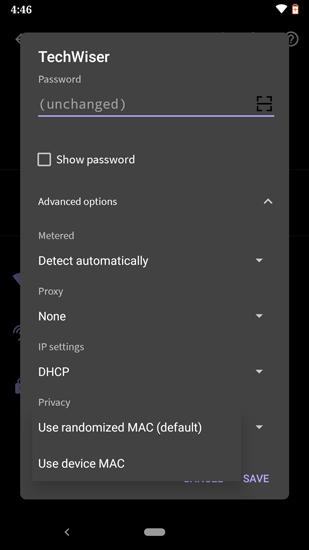 So, now in Android Q, randomized MAC Addresses will be the default. If you connect to a Wi-Fi network, by default it would get a random MAC Address rather than the device MAC Address. This is a good step towards privacy and it will restrict MAC spoofing in public networks. Moreover, you have the option to enable device MAC Address for some Wi-Fis based on SSID. And for the developers, a device owner app can request for the device’s original MAC Address. However, apps that work on public Wi-Fi will be restricted from getting your original MAC Address unless you choose otherwise. These are the few key changes from a user point of view. There were several minute changes made like you will be notified if an app is too old or share option optimization which I didn’t find it to be too significant. Also, there are a lot of developer changes which will restrict the device data access, permission changes which are not significant from a consumer point of view. You can read more about them on the Google Android Q Feature page. Also, you will get a bunch of new Google API which can be used beginning Android Q. For more queries and stuff, let me know in the comments below.